Because of their unique look and beauty, Japanese woodblock prints are highly collectible. It's no wonder that original woodblock prints have soared in price. This also means that knockoffs and low-quality reproductions have entered the market. While there's nothing wrong with saving some money and buying reproductions, some sellers try to pass off their reproductions as the real thing. Fortunately, there are some signs that indicate whether a woodblock print is original. Ask to see the print unframed. You will need to look at it closely, and you will not be able to properly examine it if it is under glass. Take a look at the back of the piece. If it is an original print, there will be some bleed-through on the back of the paper. If there is no bleed-through whatsoever, the piece is a reproduction. Look very closely at the fiber of the paper. 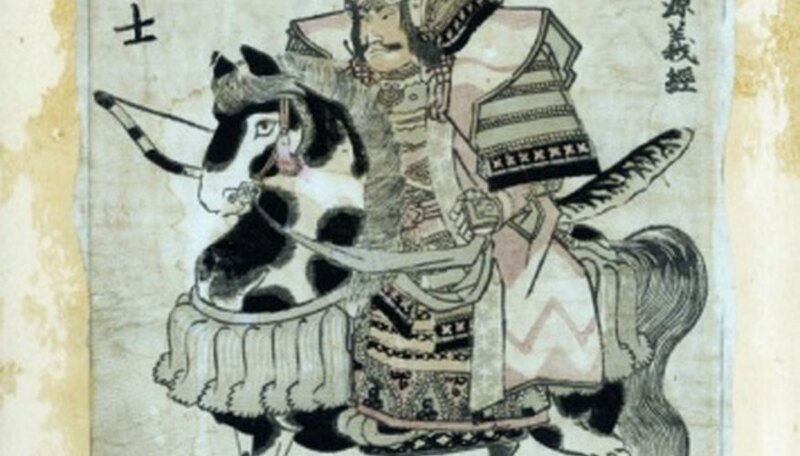 Original Japanese woodblock pieces are printed on textured paper, and the fibers of the paper will be visible in sections that are not saturated with ink. Reproductions are smooth over the entire picture, with no textural differences between printed and unprinted areas. Check for a seal or mark identifying the publisher of the print. These are often found on the reverse side of the piece, in the margins or even incorporated within the design of the picture. Beware of pieces where the margins have been cut off, thus removing the seal; this can be a trick employed by unscrupulous art dealers looking to mislead buyers. If a seal is present, try to identify it using a guidebook. This will help you date your print. If the date of the print doesn't match the qualities of the print (i.e., if the paper stock and printing technique seem too modern), it is more than likely a reproduction. If the print you're looking at is well-known, compare it with pictures of the original version. Reproductions will not have the same depth of detail and shading as original prints. If the print looks particularly flat and undynamic, it may be a reproduction. Use reference books to determine the size of the original series of prints. If the print you are examining is a different size, it is a reproduction. If all else fails, hire an expert to assess the print for you. Some reproductions are of a very high quality and can be hard to distinguish from original prints. If a print is particularly expensive and it is important to you to have an original, the peace of mind that an expert assessment will give you is worth the fee.